When a site changes layouts regular visitors can sometimes get lost. So we have put together a quick guide to this new and vastly improved version of CNCNZ.com so you can find the content you’re looking for. Plus we will highlight some of the new features we have introduced. 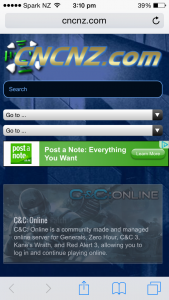 Navigating your way around the site hasn’t changed to much. Its still a drop down menu system located at the top every page. What we have changed is order of some things, parts of the site are now in different locations. This new menu system is much improved, looks better as well. 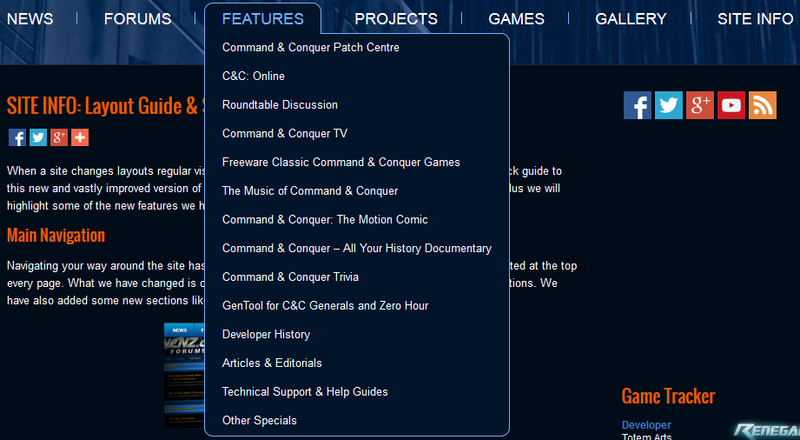 We have also added some new sections like our Hosted Projects. Right at the top of the page, you will find a quick way to jump back to the main page of the site, switch to our Forums or send a News Tip. You will also notice the new search box. 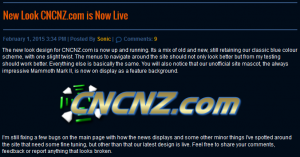 CNCNZ.com is now fully database driven so that means its backed by a powerful search engine. A common feature on sites these days. Our Feature Slider has been improved, it will now show much bigger images with more detailed descriptions. 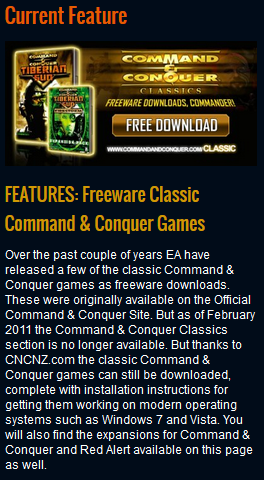 It only appears on the main page of the site. Watch the images via the sideshow or click on the navigation buttons to change them yourself. In these modern times people browse their favourite website via their Smartphones and tablets. We have taken advantage of this by introducing Responsive Framework to our design. 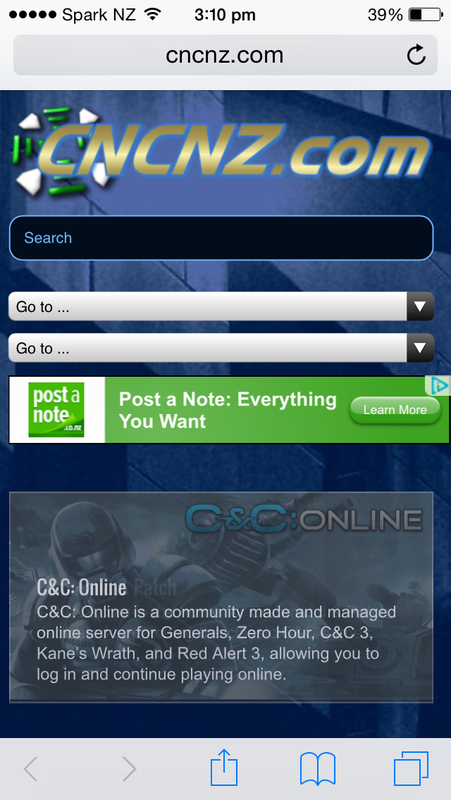 This means you can view our site on your desktop or laptop computer, on your iPhone or Smartphone, even iPads, and not loose any important functionality. Different ways to present the news on the main page were tested but as you can see nothing has changed here. There has been a few minor tweaks in terms of the colours and font sizes to match with the new site. We have always had this. And its still part of the new site. 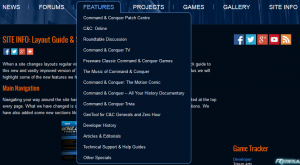 We track the latest C&C game(s) here. Another place to show off what’s inside the site. 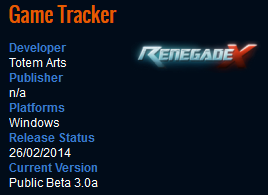 From to time this will update with something new that has been added to site or older content being updated. We still have a few annoyances to that we haven’t be able to solve just yet. These problems don’t impede moving around the site at all. In time we will iron out these bugs. In most cases moving to another page or reloading the current page fixes these.